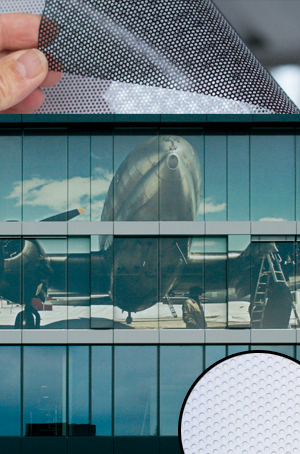 OneWayPro® offers a comprehensive range of high-quality microperforated films and laminates for vehicle and building windows. We design, manufacture, check and certify our various products to ensure that they meet the most stringent standards. Innovation, Control, Quality, Responsiveness, Competitiveness, Service, Loyalty: these are the key words that motivate the OneWayPro® team to excel themselves day by day. But it is not this motivation that makes OneWayPro® the ideal partner and logical choice for successful collaboration. It is our know-how and technical knowledge, built up over more than twenty years of practical experience in the graphics industry.